Custom built home 3 Bedroom Home in Mesa Red Mountain Ranch on the first hole at Red Mountain Ranch Golf and Country Club with spectacular views of the golf course, mountains and city lights. $75,000 kitchen updates in 2008. Wolf, sub zero appliances, extensive upgrades thru-out: granite counter tops, custom tile flooring, upgraded cabinets, six skylights, exercise nook in master bath, large walk-in closets in each bedroom. Built in mirrored wet bar. Resort like backyard with heated pool, rock waterfall and spa. Large covered patio and upper view deck. Close to shopping, restaurants and the new 202 for easy access to the airport. Don't miss this beautiful 3 Bedroom Home in Mesa Red Mountain Ranch! Fabulous community! 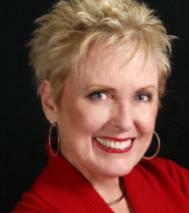 Teri Ellis specializes in all aspects of Residential Real Estate. Call or email us if you or anyone you know is looking to Buy, Sell or Rent a Home in Arizona. We would love to help. Our motto: Exceptional Client Service ~ Always! Good Morning, Congratulations on your new listing. Best wishes on a successful closing!